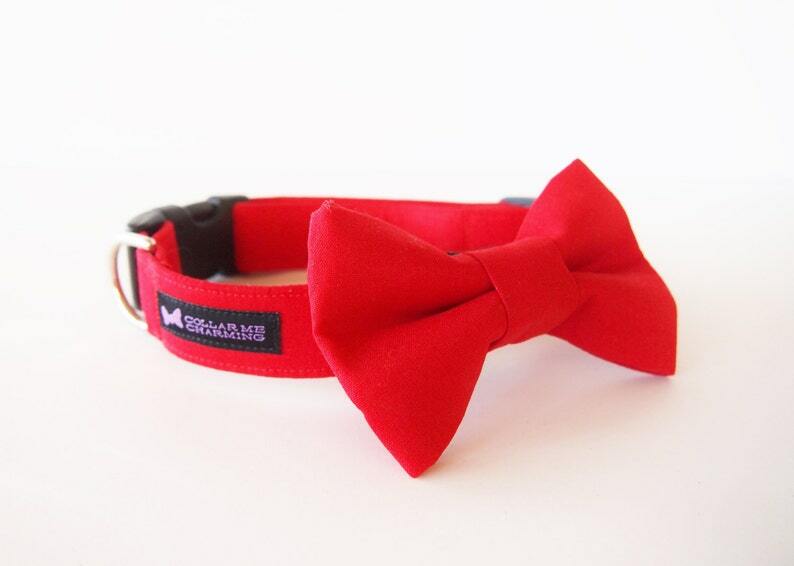 Your pup will dazzle the crowd in this Classic Collar Bow Tie set Red. This collar is perfect for including your pup in your wedding or holiday party! All bow ties are removable and are attached with Velcro and a stretchable strap to keep it in place. This is the cutest collar ever. My pup looks adorable wearing it. Well made and looks great! Just as described. Love it.